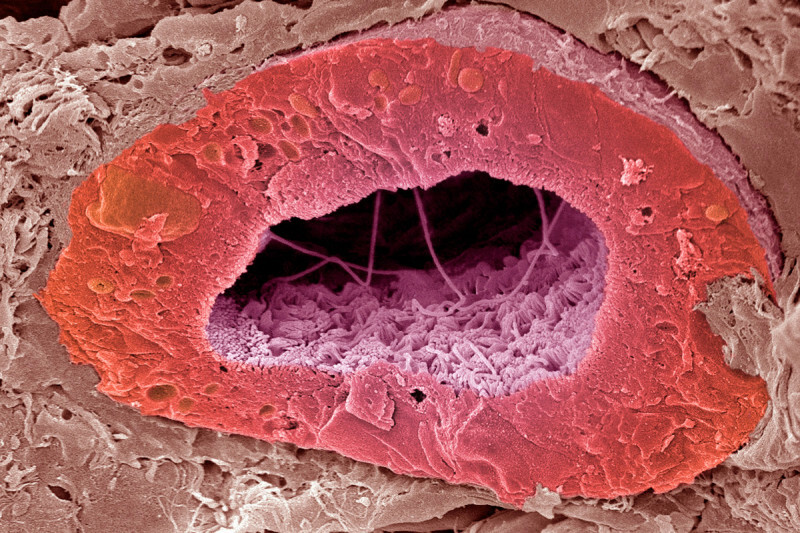 A cross section of a proximal tubule in the kidney captured by scanning electron microscopy. A new nanoparticle could make it possible to deliver drugs directly to this structure, which is the site of a common form of kidney cancer. Ideas abound about how to develop smarter cancer drugs with the help of nanotechnology, using tiny materials with unusual chemical and physical properties. For renal cell carcinoma (RCC), a common form of kidney cancer, a new nanoparticle could make it possible to deliver therapies directly to the tumor site while preventing their uptake in other organs. The device could also enable new ways to treat chemotherapy-induced kidney failure. MSK researchers have created a new type of nanoparticle. Its size and chemistry differ from many similar materials. When injected into mice, the new particle sticks to the kidneys. Ongoing studies will tell if it can carry drugs to RCC tumors. 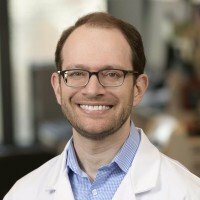 Inspired by a surprise discovery, Memorial Sloan Kettering scientists have engineered a tiny particle that could make it possible to deliver drugs directly to the kidneys and minimize their uptake in other organs. The device, called a mesoscale nanoparticle, could help boost the usefulness of some kidney cancer drugs and might also be used in the treatment and diagnosis of other kidney conditions. Nanoparticles are polymers — large molecules consisting of many small parts — that typically measure between one and 100 nanometers and can be loaded with drugs or imaging agents. (For comparison, an average human cell measures about 50,000 nanometers in diameter.) They hold promise for many medical applications, partly because they are biocompatible — not harmful to living tissue — and have unusual chemical and physical properties. The kidney-bound particle is the result of an incidental finding made while studying how the size and chemical properties of some nanomaterials could be modulated to guide their distribution in the body. The goal of the project — a collaboration between Dr. Heller’s group and MSK lung cancer physicians — was to create a nanoparticle capable of targeting cancer drugs to the lung. Mesoscale nanoparticles visualized by scanning electron microscopy. The diameter of an average particle measures about 400 nanometers, which is about 50 times smaller than the width of a human hair. The investigators produced a number of nanoparticles of different sizes and chemical properties. They then injected these particles into mice and tracked their location using CT scans and other imaging methods. The researchers dubbed the particle “mesoscale” or middle-size because it’s bigger than most of its forerunners, with a diameter of about 400 nanometers. It takes up to two months for the mesoscale nanoparticle to fall apart completely, which means it could potentially be used to release a drug very slowly inside the kidneys. Located right below the rib cage, the kidneys are two fist-size organs whose main function is to filter waste and excess water out of the blood to make urine. While waste products enter the kidneys through a network of filtering blood vessels called the glomerulus, the researchers found that mesoscale nanoparticles are absorbed — through a poorly understood process — in a different part of the kidney called the proximal tubule. The team is now working to develop a nanoparticle-based technology to deliver chemotherapy or targeted therapies directly to the site of RCC. They hope the method will help reduce side effects of the drugs by keeping them away from other organs. RCC drugs that haven’t met expectations could potentially be improved with nanotechnology. 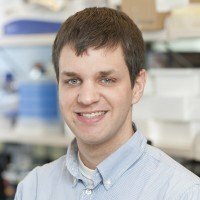 “We are currently doing experiments to verify that the particles can be used to effectively deliver a drug to RCC tumors in mice,” Dr. Heller says. The main focus of this work, he adds, will be on kidney cancer drugs that have failed clinical trials or preclinical testing. The researchers are exploring other potential uses of the particle as well. For example, they believe it could be employed to help repair kidney failure, a common problem in people who receive chemotherapy for various types of cancer. “In these patients, the proximal tubule is often the first site of damage,” Dr. Heller says. 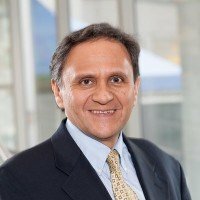 In collaboration with nephrologist Edgar Jaimes, who heads MSK’s Renal Service, he and Dr. Williams are investigating whether this technology could potentially be used to develop therapies to accelerate kidney recovery or prevent chemotherapy-induced kidney injury. They will soon start experiments to find out if the particles can deliver small molecules that target proteins involved in acute kidney injury. They will first explore the approach in animal models with the ultimate goal to determine its usefulness in patients with chemotherapy-induced kidney injury.